KFYR-TV…Four time Grammy award winning DJ IZ Avila met the students at Mekoche Recording Studio to teach them about music production. IZ is best known for traveling the globe as the DJ for Usher, U2’s Bono, and Stevie Wonder. 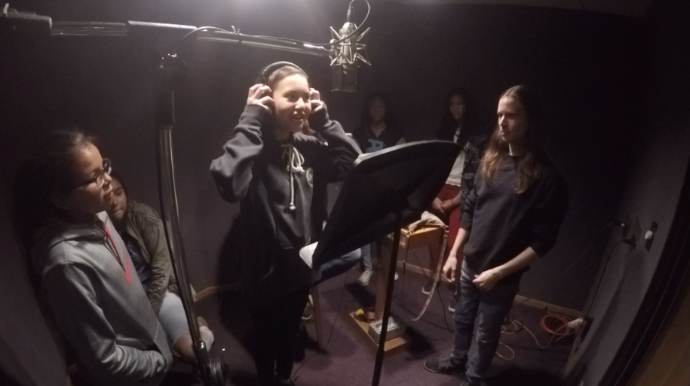 Through the Turnaround Arts program IZ exposed students to career paths in the music industry and gave students insight to the recording process itself. Students learned how to make a simple beat on the drums and how to record a song with sound effects.